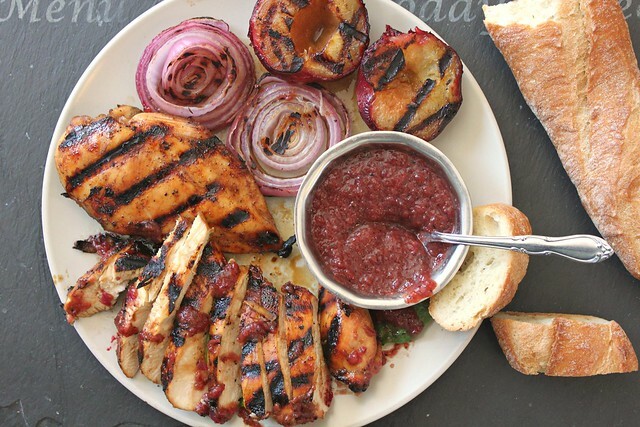 This grilled honey-balsamic chicken with red onion plum sauce recipe is simple to throw together and beautiful to plate. Serve with a crusty bread, a large green salad and a crisp cold rose or iced tea and let them help themselves! Cheers!